Since its creation in the early 1950s, this choir of about twenty Bulgarian women has been singing the legends of unknown lands, expanses over borders and space-time journeys. This group has become a legend. Since its massive discovery by audiences in Western Europe and America in the mid-1980s, the Mystery of the Bulgarian Voices has in one way or another impressed all generations of listeners, and inspired other artists. A Swiss ethnomusicologist who traveled to Eastern Europe at the time of the Cold War, Marcel Cellier, was the first to record them, and to publish an album on his own label in 1975. But it’s about ten year later that the choir reached global success, when the English label 4AD released the record produced by Marcel Cellier. The musicians recognize and love to get lost. Kate Bush, Gorillas or the Cocteau Twins are swooning. U2, Drake or last year Ibeyi samplent. The music of the Mystery of the Bulgarian Voices has also inspired the Ghost In The Shell soundtrack, among many others. On a traditional repertoire and contemporary arrangements, the wind of voices swells the veil of imagination, and everyone takes off. It is thought to hear the liturgy of ancient mythologies, so ancient that they may exist only in the imagination. But the Mystery of the Bulgarian Voices is not just an echo from the past, however glorious it may be. The choir had not recorded an album for twenty years, but it has always existed, at least on stage. 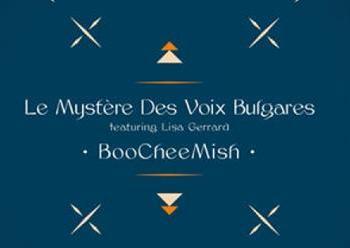 And here she is back with a new album, whose title, “BooCheeMish” sounds like a magic formula, a “abracadabra”, a sesame that reveals the entry into the mystery and delights of Bulgarian voices, while going much more far as the entrance. In real and Bulgarian, the word “bucimis” means a folk dance, but also the idea of shaking up the tradition in a positive way, to wake the beautiful (sometimes) asleep and give him pink cheeks. And that’s what happens on this album of the Mystery of the Bulgarian Voices.